Street photography is a great way of showing the world to an audience who may never get a chance to see the area the photographer experiences. Below are ten tips for those aspiring to work on their street photography skills that I have put together from my experience shooting throughout Central Asia and Europe. Get out there and photograph. Many people are a bit (or a lot) fearful of doing street photography. And to be honest, trying to capture images of people on the street who may or may not want to be photographed can be scary. But the best thing you can do is just do it. Pick a street or place and start clicking. Convince yourself that most people don’t pay a lot of attention to a photographer. Often reality isn’t quite how we imagine it in our minds. We are in a crowded place, we have the camera raised, and all we can think about are the thousands of eyes staring us down. The reality however is that most people either don’t care, don’t see us, or don’t give more than a passing glance to a photographer. Photograph from different angles. Get down low or up high and help people to see life from a unique perspective. You will be surprised at how different the world can look. Smile! This is especially true if you don’t speak the language in the place you are photographing. A smile lightens the mood and often diffuses any suspicion. It communicates universally that you are not threatening but friendly. Get out early, stay out late. Sure, life happens during the day. But the best light is during the hours around sunrise and sunset. There is plenty to shoot during these times and often you can find the most relaxing environment. Go where the people are. Street photography is about people out and about in their everyday lives. Even if you go back to the same place many times, there will always be something new to shoot. Wonder around without your camera. This is especially true if you want to start photographing a certain area multiple times. Get an idea of what the area is like and form images in your mind that you would like to capture later. This will also let people get used to you if it is an area where you will see the same people over and over. Respectfully put your camera away when met with hostility. These situations do occur. If someone does not want their photo taken, smile, apologize and don’t take the photo. Sometimes this will lead to conversation that lightens the mood which may in turn lead to the person changing his or her mind allowing you to capture even better moments. Think story. The most engaging photos are ones that contribute to the story of life on this planet in all its varied nuances. Compose well, look for good light, but don’t forget to tell a story with your photos. Study the work of other photographers. As a start look at the work of Steve McCurry, Alain Laboile, or Eugene Richards. 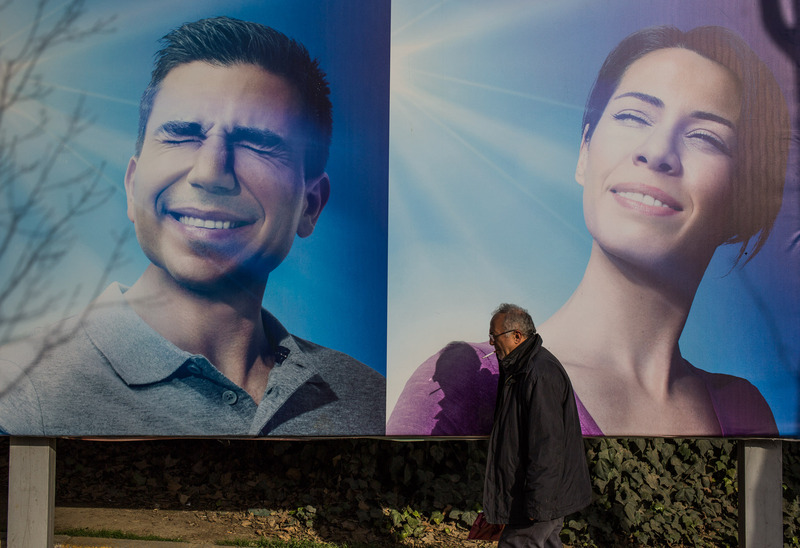 They aren’t necessarily street photographers, but they will help you think creatively.